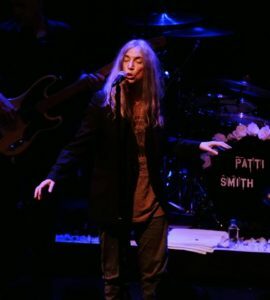 Patti Smith, Dec 31 2016, Park West Chicago. Photo by Lauren Deutsch. Ushering in 2017 with Patti Smith and band at Chicago’s Park West New Year’s Eve was inspiriting for us of a certain age and artsy disposition. 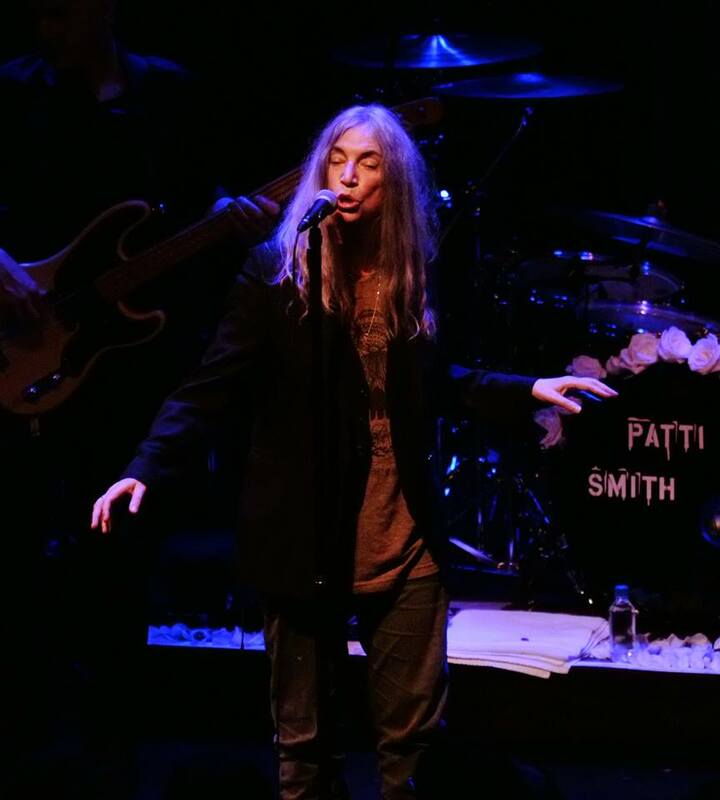 Grey-haired but loose and limber — funny, fierce, profane and poetically incantatory — Smith celebrated her 70th birthday in the city of her origin as if for all boomers and our progeny. At the Riviera Theatre on Dec. 30 she performed the whole of Horses, her winning 1975 debut album; on the 31st, backed by her four-man Nuggets, she offered a mixed bag including Debbie Reynold’s plaintive “Tammy,” the Doobie Brothers’ “Jesus Is Just Alright,” a Prince cover, vague comments that become stories that turned images into phrases conjuring her anthems “Gloria,” “Because the Night” and “People Have the Power,” and for a finale the Who’s “My Generation” — as a call to arms in the form of active humanitarianism united in cultural bohemianism, a commitment to folk-rock-soul-art-literary-punk fun. 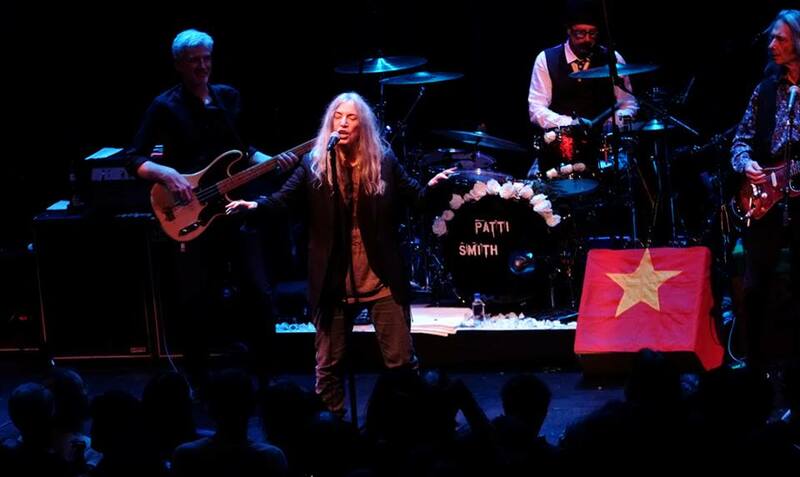 Patti Smith and her Nuggets at Park West, Chicago 12/21/17. Photo by Lauren Deutsch. Extraordinarily for a New Year’s Eve party, in the middle of a show which had the immediacy of something thrown together with and for friends, Smith broke into talking about people less fortunate that those of us who’d gathered at some cost just for a good time. It was as if she made it easier to enjoy by acknowledged how fucked up things are, on so many levels. She complained of not understanding why people who need blankets can’t be given them, people who need food or water aren’t provided for of course, and segued into her sympathies for Syrian refugees and others displaced by war.